The Amazon has finally started its Freedom Sale in India today. The platform is offering great deals on headphones that are from brands like Sennheiser, boAt, JBL and more. Amazon Freedom Sale is going on right now and there're a number of pretty interesting headphones deals that are available on the website. 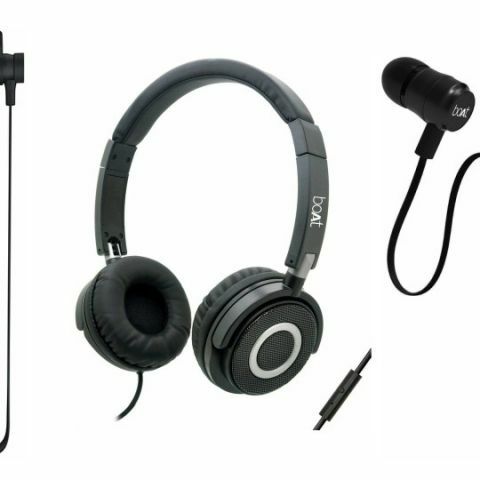 The products we have listed down below are from brands like JBL, Sennheiser, boAt and more. The Sennheiser PMX 686G is a water-resistant sports earbud feature an in-line microphone and remote to manage audio tracks and calls. The earphone sports an oval-shape cable, which the company claims to help avoid tangles. Click here to buy. The boAt BassHeads 900 is a wired on-ear headphone which features a 40mm dynamic drivers and has a frequency range between 20Hz-20KHz. The headphone comes with a swivel ear cup design, which enables easy storage. It also has an in-line microphone and remote to pick up calls and manage audio tracks. Click here to buy. The JBL C300SI On-Ear headphone features 40mm dynamic drivers and has an impedance of 16 ohms. The device sports an adjustable ear cup design for a more comfortable listening experience. Click here to buy. The boAt Bassheads 235 in-ear headphones come with a tangle-free flat cable. The headphone features an in-line microphone and remote, which lets you pick up calls and manage audio tracks easily. The device is equipped with a 10mm dynamic drivers and has an impedance of 16 ohms. Click here to buy. The Motorola Pulse 3 MAX is an over-the-ear headphone, which features a swivel ear cup design that lets you carry and store the headphone easily. The device also has an in-line microphone and remote to manage audio tracks and calls. Click here to buy. The Nu Republic Nu Jaxx Wireless Earphone features an intelligent noise reduction technology, which reduces outside noise for a better listening experience. The headphone also comes with an in-line microphone and remote to manage phone calls and tracks. As per the company, the headphone can provide up to five hours of music playback on a single charge. Click here to buy.